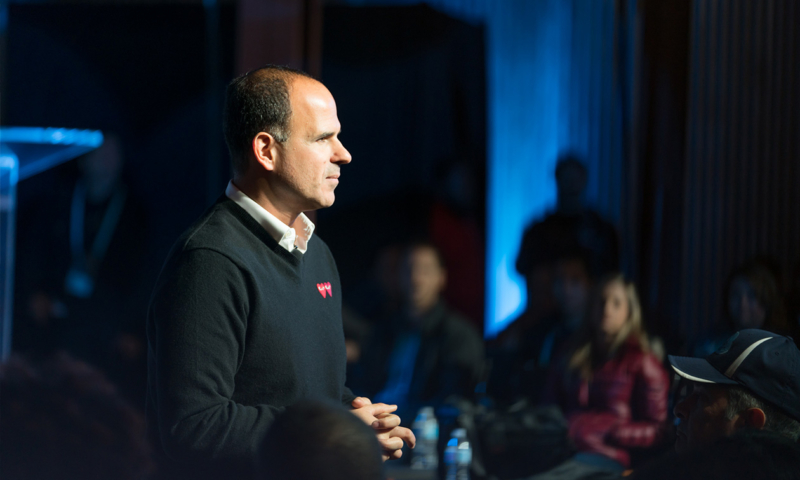 Any fan of CNBC’s The Profit, knows that Marcus Lemonis has an unconventional style. He’s turned around countless American small businesses on the show by asking the hard questions, and he brought his unique brand of tough love to his keynote at Xerocon Austin. No one in the sold out crowd was safe from his scrutinizing eye, but in the questions he asked audience members to think about lay a simple truth: the key to business isn’t business. Rather, it’s your understanding of people, how humans think, and more importantly how you think. Marcus told delegates he had a difficult start to life as an orphan born in Beirut. After being adopted by an American family, he said he was incredibly lucky to be brought to live here, and while his life looked great – it was a different story beneath the surface. He told the audience that they should feel okay to be similarly candid and vulnerable with people – giving delegates the opportunity to share something with him that they thought would make him want to do business with him. “Vulnerability is the key to business, opening yourself up and showing people who you are,” Marcus explained. He had advice for would-be entrepreneurs. He told delegates one of the hardest things about being a business owner is being a steward of other people. But, being successful in business goes far beyond operating margins. Marcus ended by urging delegates to pay it forward to their clients. The post To run a beautiful business, be vulnerable, be kind appeared first on Xero Blog.